Welcome to ColorWalk.com! This is a website/blog mainly for graphic design, web design, web programming, etc. 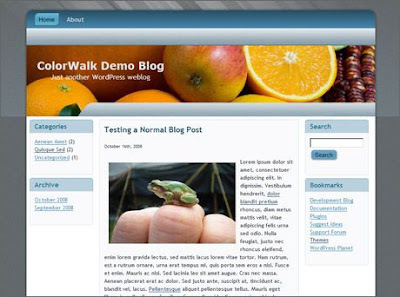 This site is maintained by me, Colorwalk, a programmer/designer who’s currently living on earth. Don’t want to give away too much about myself. However, I can tell you that I speak English and Chinese. So this site is supposed to be bilingual. To contact me, send email to:Thanks to the UTF encoding, I can freely choose whether to post in English or Chinese without too much hassle. If you see something in Chinese, don’t worry, that could be something that you wouldn’t care too much anyway.